Trotting Mare Garage is a well established car sales centre which has a large stock of both new cars and used cars. All of the used cars we sell come with an MOT and a three month service warranty. We are based in Overton on Dee near Wrexham and also serve the surrounding areas including Knolton, Penley, Whitchurch, Ellesmere, Oswestry, Ruabon and Wrexham. Trotting Mare Garage has a large stock of both new cars and used cars. All of the used cars we sell come with an MOT and a three month service warranty. 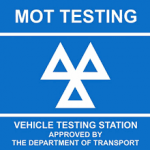 Book an MOT online now with the live, real-time MOT booking system. Just select the date and time that suits you from the live, online booking diary. Booking an MOT couldn’t be easier with this 24/7 interactive system. Choose to book the next available space or view all available spaces in our diary by clicking the appropriate link in the box to the right hand side of this message. 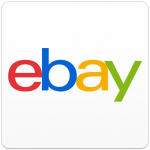 See what out latest car vehicle sales are by either selecting the Ebay Link or the Facebook Link. If you dont see what you are looking for please ring us as we can source almost any vehicle. Just click on the icon on the right for full information.